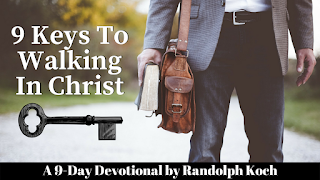 A Shepherd's Heart: What is the "9 Keys To Walking In Christ" devotional about? 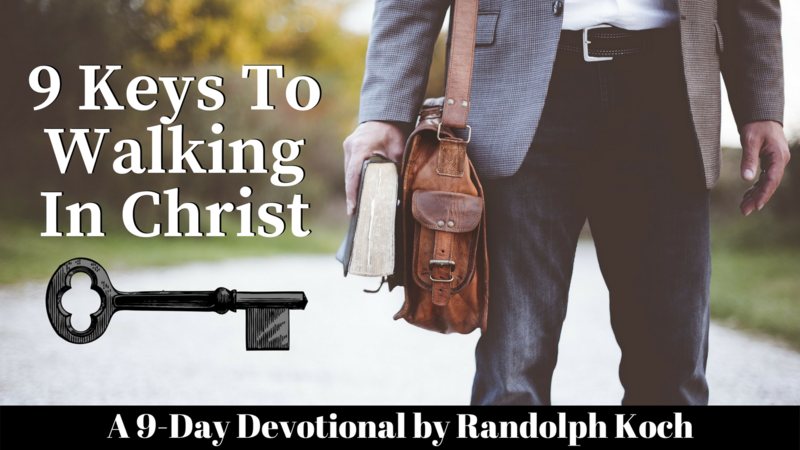 What is the "9 Keys To Walking In Christ" devotional about? How do you walk in Christ? Like eating right and regular exercise, you have to be disciplined in exercising your faith, to grow in your walk with Him. God's Word outlines many practical principles that will help you successfully walk in Christ. "9 Keys To Walking in Christ" is Live in the YouVersion Bible App and web site! The aim of this devotional is to guide you through nine of the keys to help strengthen your walk. Whether you just started walking in Christ, or have walked with Him for years, I pray this will be a spark in your faith that will help motivate you, driving you to walk closer with Him! I pray that this devotional will encourage and challenge you in your walk with Christ! It's an honor to serve you and I'm humbled and exited as God has blessed me with this opportunity to encourage the body of Christ from His Word. I pray that you will sign up for the plan and help get the word out about the plan to your family, friends and church family too! Also, your continued prayers for a successful launch is greatly appreciated! On another note, I know the A Shepherd's Heart social media sites and website has been dominated by the devotional launch this week, however, it's been important in support of getting the word out about God has done. Rest assured I'll be sifting back into the usual biblical and practical encouragement posts and content in the weeks ahead. My current plan via the website is to finish The Fruit of The Spirit Series that I'd started a while back and put that on pause as well as other topics to encourage you in your faith and walk with Christ. Also, via social media, the usual A Shepherd's Heart biblical and practical encouragement posts will be back in action. If you're subscribed to the free A Shepherd's Heart Communications, you will receive additional content and news before anyone else receives it and you can expect some more encouragement resources will be coming your way if your'e signed up! If you aren't signed up, please sign up with your name and e-Mail address via the form on the right of the www.ashepherdsheart.org landing page. I'm always working to provide content that is encouraging to you in your faith and walk with Jesus. With this, what topics or content will be useful to you or would you like to potentially see? Please leave a comment here or send an e-Mail to rlk@ashepherdsheart.org. I'm also working to assess where to focus efforts and time and would like to share was it most meaningful as much as possible so your input would be very helpful! Thank you for your time and please pass this communication on to someone!